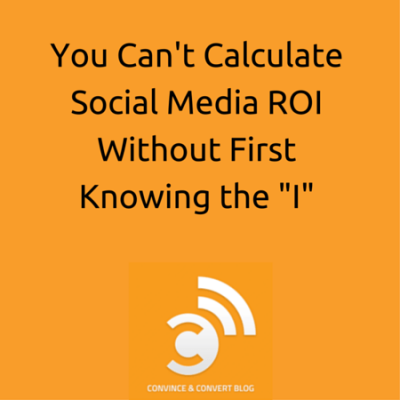 Are you putting all of your emphasis in social media measurement on exactly the wrong thing? 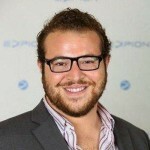 I did a webinar recently with my friends from Expion about cross channel social media analytics. One of the great points that Albert Chou from Expion brought up in the webinar is that we often have plenty of measures around social media outputs. We know likes and comments and shares and all those things. There’s no excuse for not knowing what your outputs are. But where we fall down, in terms of social media measurement, is actually measuring the inputs. We spend almost no time figuring out how much does it actually cost us to do these things in social media? And if you don’t know the inputs, your ability to make sense of the outputs is mitigated considerably. So my advice is to spend some time thinking about what are your true costs in social media and how to assign those costs on a weekly basis, a monthly basis, a per channel basis, and/or a per post basis to figure out what your actual return is. Add up all the other expenses related to your social media, such as your social media management software, your stock photo licenses, designer fees, and the rest. Let’s say that costs your organization an average of $4,000 per month. Under this scenario, your total social media costs are approximately $26,500 per month. For math’s sake, let’s assume you create 300 total pieces of social content per month (tweets + FB posts + Instagram, and so forth). Your average cost per piece of content produced is $88.33. Now You Know Your Costs. What’s the Next Step in Tracking Social Media ROI? Knowing that information you can either take it one step further and determine what your true costs are per channel (you’ll need to track how much time you spend on Facebook vs. Twitter vs. Instagram vs. Pinterest), or you can use your $88.33 to start to more intelligently value the impact of each piece of social content. What’s a click to your website worth? Well, how much are you paying for them in paid search? If you’re paying $3 per click on average, and your social content is generating 30 clicks per post on average, you’re producing $90 of value for every $88.33 spent. And if you want to get really serious (and we can help you if you want to do this), you should be mapping those clicks to lead generation and sales, based on direct conversion (or more likely for social, indirect conversions). So when someone asks you about the ROI of social media, don’t give them a vague and squishy response about relationships and engagement. Tell them you have to first figure out the investment before you can calculate the return. Today’s Sprout Social Shoutout is for my friend Nick Cicero. Nick actually used to work at Expion. He was formerly the co-host of my Social Pros podcast, and recently started his own branded content agency. He’s also a noted jazz trumpeter, so he has that going for him. A great guy, really smart, very good at advanced, cutting edge social media. You should definitely be following Nick Cicero in social.